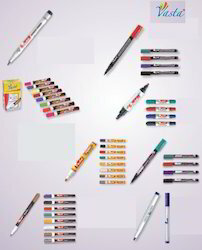 We can manufacturer plastic and metal pens of many varities from our automated multi cavity moulds, injection moulding machines, assembly rotary machines, Roatary printing machines and blister Packing, pouch packing machines. - Permanent Mark pens are for permanent marking which endures various Textile Processes under acidic/alkaline Chemicals and High Temperature & Pressure condition. - The Markings are indelible which dries instantly and does not bleed, stain or damage the fabric. - Its simple in use like ball pen, ensures clear, smooth and continuous marking. 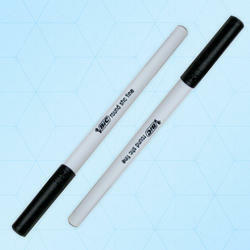 The Cleanroom pen is ideal for applications in critical environment. It ensures minimum particulation when the ink dries up. gaddward Being the leading names in the industry, offering wide range of MARKER that are manufactured using quality components and advanced technologies. These products have smooth finishing standards and are delivered in varied grades.